VMware, a global leader in cloud infrastructure and business mobility, accelerates our customers’ digital transformation journey by enabling enterprises to master a software-defined approach to business and IT. With the VMware Cross-Cloud Architecture™ and digital workspace solutions, organizations are creating exceptional experiences by mobilizing everything; differentiating and responding faster to opportunities with modern apps hosted across hybrid clouds; and safeguarding brand and customer trust with a defense-in-depth approach to security. applications across clouds and devices in a common operating environment. As the world’s most complete and capable hybrid cloud architecture, the VMware Cross-Cloud Architecture enables consistent deployment models, security policies, visibility, and governance for all applications, running on premises and off, regardless of the underlying cloud or hypervisor. 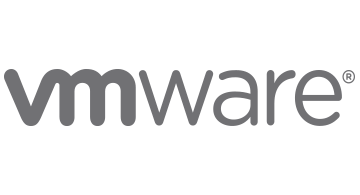 With 2015 revenues of $6.6 billion, VMware has more than 500,000 customers and 75,000 partners worldwide. VMware is a member of the Dell Technologies family of businesses that provides the essential technology infrastructure and mobility solutions for organizations to build their digital futures, transform IT, and protect their most important assets.